This is by far my favourite highlighter - ever. It's my go-to and always in my makeup bag! Yes, it's big but that means it's lasted for ages and I have yet to get through one. Its tone is quite golden and the pigment is incredible. It's buildable which is great for me as I don't like my highlight to be too strong. I just love it; it the most flattering shade ever. This powder highlight is stunning, and I'm obsessed with the 3D embossed design of it. It's a yellow based golden highlight and again the pigment is incredible! If you like an intense dose of strobing - you are going to LOVE this. The formula is so buttery so it just glides onto the skin and gives the most incredible shine to cheekbones. The shade is quite similar, just a little bit more golden that the Vivid Baked One. I have swatched the strobe cream above - 1, showing you the cream formulation, and 2 showing you the subtle shimmer that this product gives. 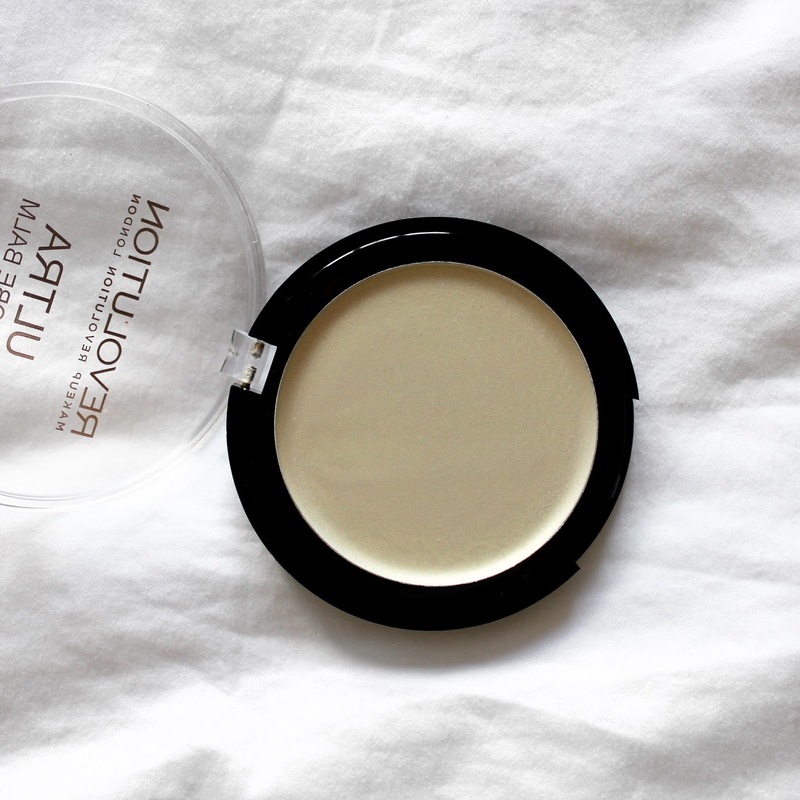 I love this cream because it's so pretty and versatile. You can wear it underneath foundation so you have a gorgeous glow shining through, mix a drop with your foundation for a dewy golden glow or add a touch to the high points of your face. It's so subtle but so effective! So, this is my favourite contour palette of all time. It's SO perfect; and I love the highlighting shades just as much as the contour ones. The top shimmer white highlight is one of my favourites. It gives an incredible strobed effect to cheekbones and I love the whiteness of this shade. The next two are amazing setting powders; and then the bottom is a gorgeous rosy-gold highlight which is so warming to the skin.